Friday December 19th 2014 marked the 6th month anniversary since the death of Oscar and at that point we were still none the wiser as to why he died. As a result we made the decision to go ahead with launching our first initiative the “Thinking of Oscar Christmas campaign”. It was not a coincidence that we aligned ourselves to Christmas. We have learnt that when you do things for others it makes you feel better and so we wanted to make a donation to the hospital to help us through the Christmas period. 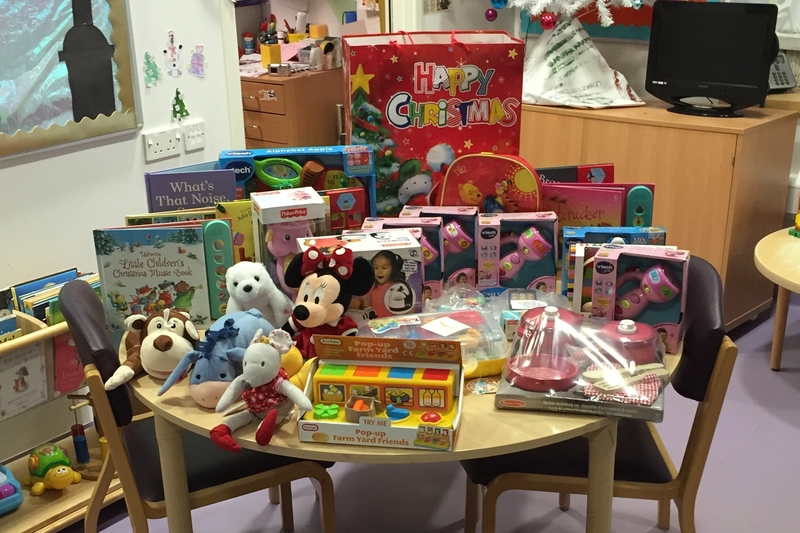 We understand that children who are inpatients at Christmas are extremely well looked after, with plenty of gifts from generous people but from our own experience and having spoken to hospital staff we knew that a more general gift of toys and books for the playrooms to benefit children throughout the year would be extremely beneficial. 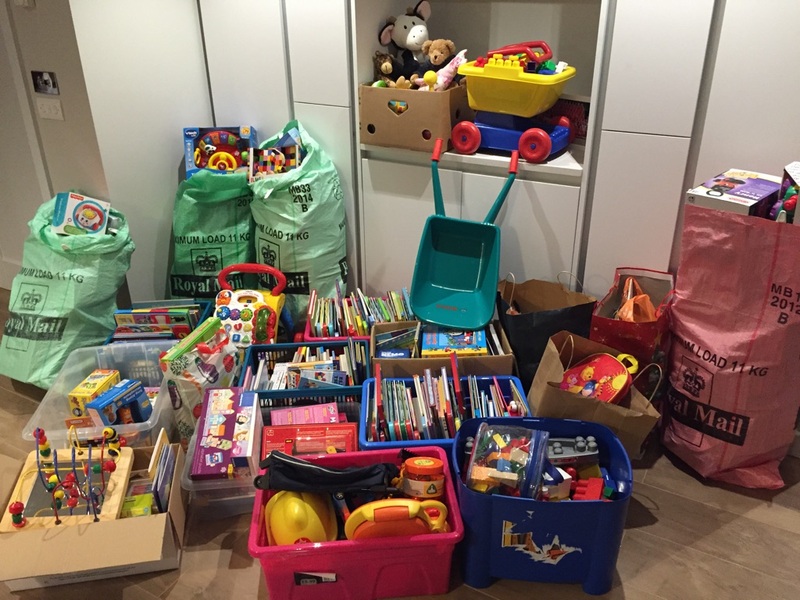 They have a permanent ‘wish list’ of items they are short of which includes ‘push button’ noisy books and other books/simple toys that need child interaction and which can be used for distraction during blood tests and other procedures, or just for fun. 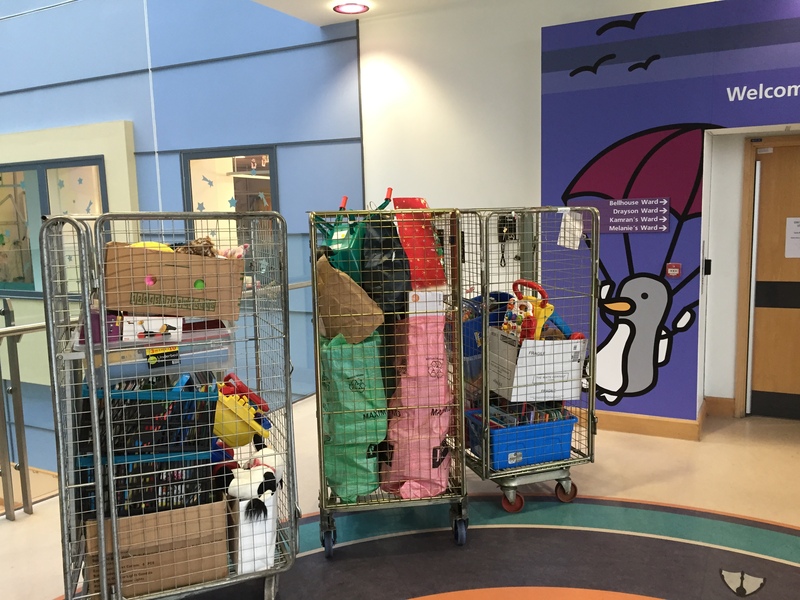 The support that we received was incredible with hundred’s of books and toys being delivered to our house which literally filled a room from floor to ceiling and took 2 cars and 4 cages to get it all into the ward at the John Radcliffe Hospital in Oxford. We then had to go back after Christmas as we still had books and parcels being delivered well into the New Year. - Dr Craze, Paediatric Consultant. I just wanted to let you know that the books you donated to the ward at children’s hospital have made such a difference to my daughter, these past two weeks. At the very hardest parts of her treatment, your books have been there for her, and the fact that they are beautiful & pristine and new stories means a lot to a four year old girl. You HAVE made a difference and I thank you for thinking of others in your hardest time. I read Oscar’s story tonight and wept for you as a mother, and for your family, but mostly for Oscar. I am so sorry that this happened. Words fail me. - Mother of a 4 year old girl who was being treated at the JR Children’s Hospital. Thank you so much to everyone who contributed to this initiative. You have all made a difference and even if it was only to those two little people in our eyes it was all worth it.